Somerville, Mass – In case anyone is wondering why I have been so quiet lately (anyone? anyone…?) it’s because I have nothing to write about. We haven’t been traveling, even locally. We haven’t been going anywhere, really. Lately, we have been staying close to the potty. And it is good. 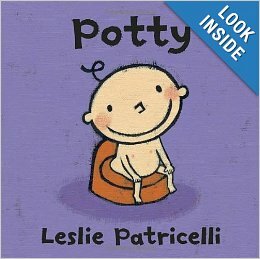 The potty training is only just beginning, so I probably shouldn’t get ahead of myself. But I am overjoyed. The twins resisted potty training for so long and I was trying so hard not to pressure them before they were ready. But I couldn’t help but feel like I had already changed more than my fair share of diapers, considering I had changed TWICE AS MANY as other moms of 3-year-olds. We have read all the books. We have seen the videos. We’ve had potties in the bathroom for more than a year. Nonetheless, the twins would refuse to sit on them, even if I bribed them with jelly beans. Twin S told me many times that he was “too little” to use the potty. I was really starting to wonder if it was ever going to happen. Then they went to preschool. Cue the angelic choirs singing “Hallelujah!” Peer pressure is a powerful thing. I won’t get into the nitty-gritty details, but I will say that I am hopeful. Maybe, just maybe, we won’t have to bring a suitcase full of diapers when we go to Costa Rica next month. Stay tuned for my review of travel potties.